US equity indexes closed moderately mixed, sp -1pt at 2435. The two leaders - Trans/R2K, settled lower by -0.1% and -0.3% respectively. VIX settled -1.0% at 10.75. 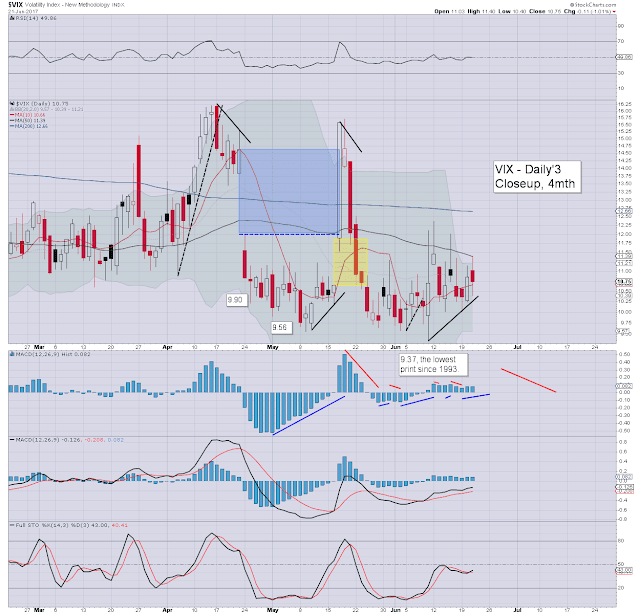 Near term outlook offers the 2415/00 zone, which might equate to VIX 13/14s. Broadly, the 2500s are a given.. as early as late July. 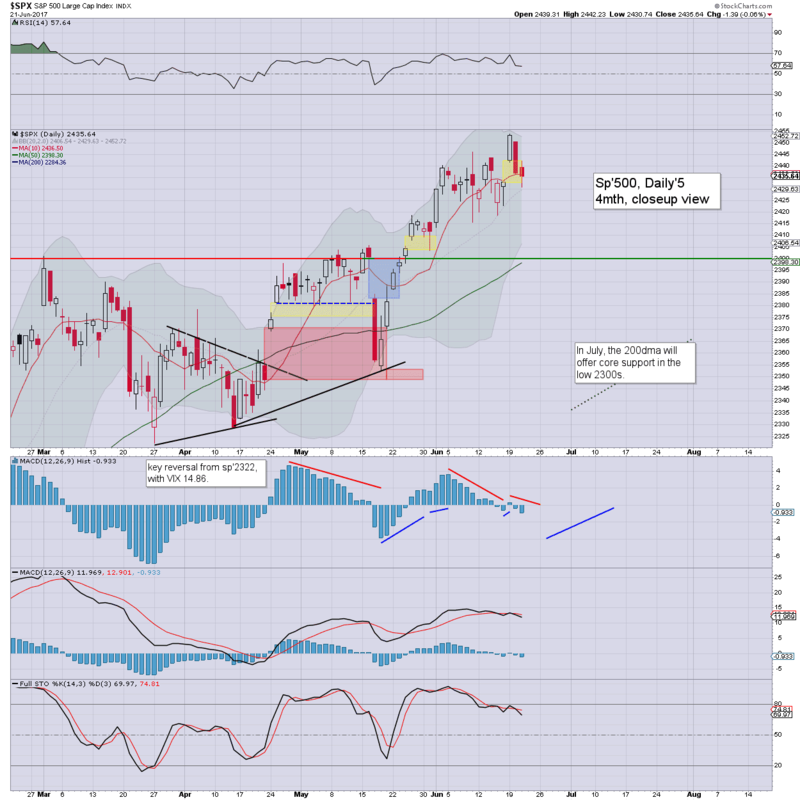 US equities opened in minor chop mode, and saw some moderate weakness to sp'2430 - fully filling the opening gap from Monday morning. There was an attempt to bounce in the afternoon, but it was pretty weak. A break <2430 will offer 2415/00 before the weekend. This was something that should have happened last week, but quad-opex was something of a hindrance. Market volatility popped to 11.40 - with sp'2430, but settling in the 10s. Its something of an irony to note we've not traded VIX 9s in 9 trading days. So many planes... bullish UAL?